It all started when we were developing the WA8 Eclipse. We learned that in order to reduce the size greatly, it needs to be with transistors. Introducing the WA11, an ultra-compact high-performance headphone amplifier and DAC. Over the course of 3-years of intensive research and 9 working prototypes deployed in real-world applications. WA11 delivers an audiophile sound quality that rivals many desktop systems and with the features users dream of. The future is USB Type-C port. 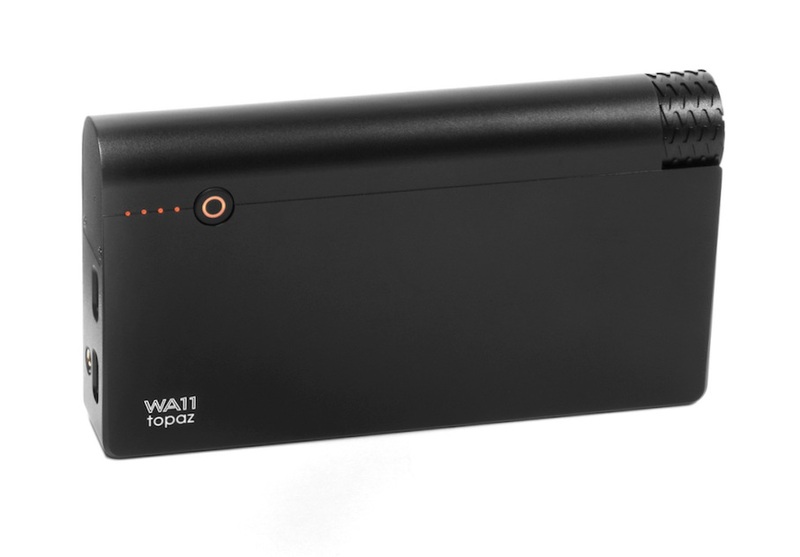 And WA11 Topaz has two of them - one for data, one for charging (USB 2.0 compliant). Separating the two allows the user to listen and recharge the internal battery simultaneously. This feature extends the industry leading 7 hrs. of playtime immensely. The performance and usage flexibility of WA11 will change the way we enjoy music and opens a new world for what a Hi-Fi system should be. Minor specifications and appearance are subject to change in production unit without notice. Weight: 426g / 0.93 lbs. NOTE: Windows 10 build 1607 or newer version does not need to install the driver. In a playback application, the WA11 DAC should show up as WooAudio WASAPI.